Although some of these have had reasonable coverage in the media and the scientific press it is difficult to find confirming information. 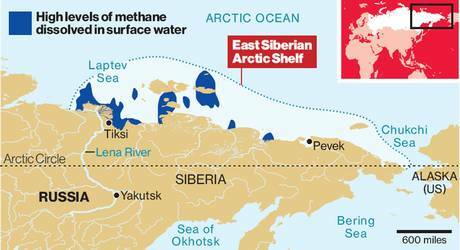 It seems to me that as things get worse the more of a media blackout there is - for instance on the scale of methane release in Siberia in 2012. To help myself (and hopefully to assist readers to understand, I have had hunted out what I could on the growing list of feedbacks provided by Guy. "The Russian research vessel Academician Lavrentiev conducted a survey of 10,000 square miles of sea off the coast of eastern Siberia. They made a terrifying discovery - huge plumes of methane bubbles rising to the surface from the seabed. Warm Atlantic water is defrosting the Arctic as it shoots through the Fram Strait (Science, January 2011). This breakdown of the thermohaline conveyor belt is happening in the Antarctic as well. "The temperatures of North Atlantic Ocean water flowing north into the Arctic Ocean adjacent to Greenland -- the warmest water in at least 2,000 years -- are likely related to the amplification of global warming in the Arctic, says a new international study involving the University of Colorado Boulder." "Led by Robert Spielhagen of the Academy of Sciences, Humanities and Literature in Mainz, Germany, the study showed that water from the Fram Strait that runs between Greenland and Svalbard -- an archipelago constituting the northernmost part of Norway -- has warmed roughly 3.5 degrees Fahrenheit in the past century. The Fram Strait water temperatures today are about 2.5 degrees F warmer than during the Medieval Warm Period, which heated the North Atlantic from roughly 900 to 1300 and affected the climate in Northern Europe and northern North America." It took quite a while to track down any reference to this; however, the independent published an important article where Dr. Igor Semiletov is quoted being impressed by the scale and density of the plumes compared with the year before (2010). "Earlier we found torch-like structures like this but they were only tens of metres in diameter. This is the first time that we've found continuous, powerful and impressive seeping structures more than 1,000 metres in diameter. It's amazing," Dr Semiletov said. "I was most impressed by the sheer scale and the high density of the plumes. Over a relatively small area we found more than 100, but over a wider area there should be thousands of them," he said. 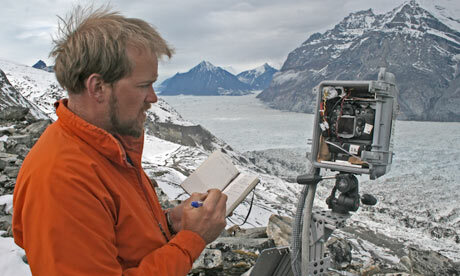 ....CARVE is finding its own evidence of massive Arctic methane emissions. Charles Miller, NASA’s principle investigator for the CARVE project, in a recent article, noted that the mission had discovered numerous atmospheric methane plumes in the Arctic. Some of these atmospheric plumes were of immense and troubling size, stretching as wide as 150 miles across. Region set to outstrip US as CO2 emitter"A widespread drought in the Amazon rainforest last year caused the "lungs of the world" to produce more carbon dioxide than they absorbed, potentially leading to a dangerous acceleration of global warming. Scientists have calculated that the 2010 drought was more intense than the "one-in-100-year" drought of 2005. "They are predicting it will result in some eight billion tonnes of carbon dioxide being expelled from the Amazon rainforest, which is more than the total annual carbon emissions of the United States. For the second time in less than a decade, the earth's greatest rainforest released more carbon dioxide than it absorbed because many of its trees dried out and died. “For millennia, peatlands have served as an important sink for atmospheric CO2 and today represent a large soil carbon reservoir. 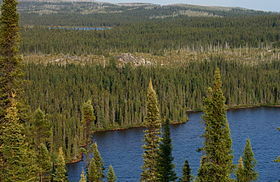 While recent land use and wildfires have reduced carbon sequestration in tropical peatlands, the influence of disturbance on boreal peatlands is uncertain, yet it is important for predicting the fate of northern high-latitude carbon reserves. Here we quantify rates of organic matter storage and combustion losses in a boreal peatland subjected to long-term experimental drainage, a portion of which subsequently burned during a wildfire. We show that drainage doubled rates of organic matter accumulation in the soils of unburned plots. However, drainage also increased carbon losses during wildfire ninefold to 16.8±0.2 kg C m−2, equivalent to a loss of more than 450 years of peat accumulation. Interactions between peatland drainage and fire are likely to cause long-term carbon emissions to far exceed rates of carbon uptake, diminishing the northern peatland carbon sink”. "Drying of northern wetlands has led to much more severe peatland wildfires and nine times as much carbon released into the atmosphere, according to new research led by a University of Guelph professor. The study, published November 1 in Nature Communications, is the first to investigate the effect of drainage on carbon accumulation in northern peatlands and the vulnerability of that carbon to burning:. "The boreal trees and shrubs that are already invading the tundra regions of the north are expected to expand their territory even further as climate-change progresses. A study recently published in Environmental Research Letters indicates that invading shrubs will increasingly warm the northern high latitudes at a rate that depends on the height of the plants." See also this: Is Global Warming breaking up the Integrity of the Permafrost? 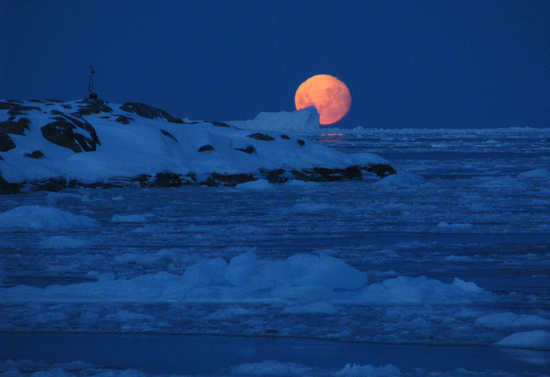 "The Greenland ice sheet is losing mass (Barletta et al. 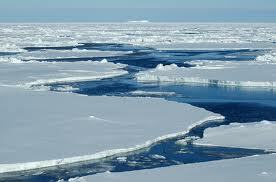 2012) and at least half of this loss is caused by an increase in surface melt (e.g. Tedesco et al. 2013). The other part is caused by increased dynamic mass loss, as marine-terminating glaciers lose resistive stresses (Nick et al. 2009) due to both retreat and meltwater lubrication at the bed"
"The Antarctic Ice Sheet could be an overlooked but important source of methane, a potent greenhouse gas, according to a report in the August 30 issue of Nature by an international team of scientists." Forests and bog land in far eastern Russia have been burning since the beginning of June 2012. Contributing to the record fires have been the record temperatures of this past summer. 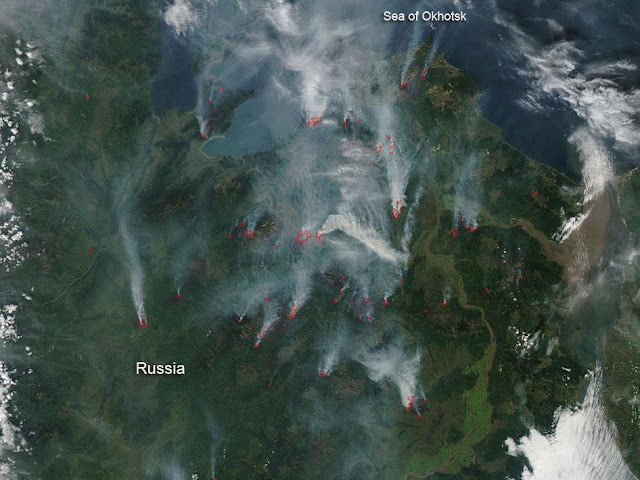 This summer in Siberia has been one of hottest on record. The average temperature ranged around 93 degrees Fahrenheit and there doesn't seem to be any break in the weather coming anytime soon. "The well-documented presence of excessive levels of carbon dioxide (CO2) in our atmosphere is causing global temperatures to rise and glaciers and ice caps to melt. 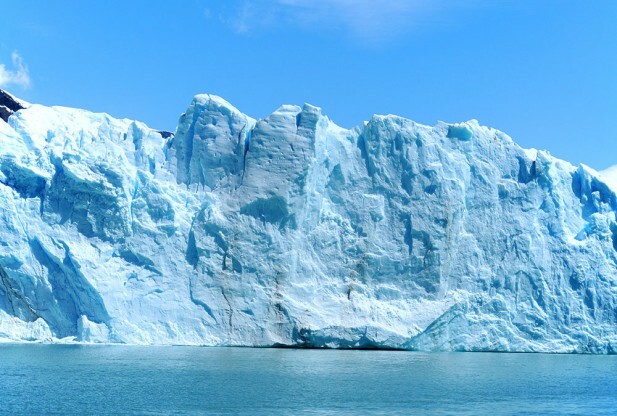 "New research, published October 11, in IOP Publishing's Journal of Physics D: Applied Physics, has shown that CO2 molecules may be having a more direct impact on the ice that covers our planet. "Researchers from the Massachusetts Institute for Technology have shown that the material strength and fracture toughness of ice are decreased significantly under increasing concentrations of CO2 molecules, making ice caps and glaciers more vulnerable to cracking and splitting into pieces, as was seen recently when a huge crack in the Pine Island Glacier in Antarctica spawned a glacier the size of Berlin." 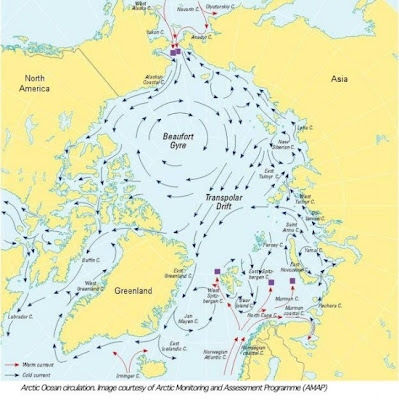 "The Arctic Ocean is largely surrounded by land, which limits the abilit of sea ice to drift southward into warmer waters. Some ice continually flows out of the Arctic through the Fram Strait east of Greenland, but this ice loss has historically been offset by ice growth in the Beaufort Gyre, where ice can last for years. But the Beaufort Gyre has been a less effective nursery for thickening ice in recent years; young ice is less likely to survive its trip through the warm, southern part of the gyre"
Arctic Sea Ice Getting Thinner, Younger..
"Ancient carbon trapped in Arctic permafrost is extremely sensitive to sunlight and, if exposed to the surface when long-frozen soils melt and collapse, can release climate-warming carbon dioxide gas into the atmosphere much faster than previously thought. "University of Michigan ecologist and aquatic biogeochemist George Kling and his colleagues studied places in Arctic Alaska where permafrost is melting and is causing the overlying land surface to collapse, forming erosional holes and landslides and exposing long-buried soils to sunlight. "They found that sunlight increases bacterial conversion of exposed soil carbon into carbon dioxide gas by at least 40 percent compared to carbon that remains in the dark. 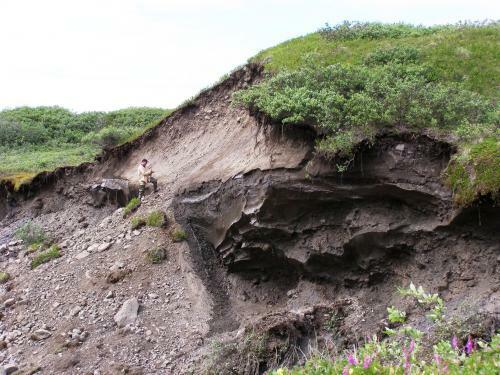 The team, led by Rose Cory of the University of North Carolina, reported its findings in an article to be published online Feb. 11 in the Proceedings of the National Academy of Sciences"
Is Global Warming breaking up the Integrity of the Permafrost? The summer ice melt in parts of Antarctica is at its highest level in 1,000 years, Australian and British researchers reported on Monday, adding new evidence of the impact of global warming on sensitive Antarctic glaciers and ice shelves. Researchers from the Australian National University and the British Antarctic Survey found data taken from an ice core also shows the summer ice melt has been 10 times more intense over the past 50 years compared with 600 years ago. 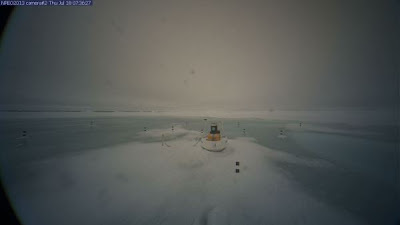 "It's definitely evidence that the climate and the environment is changing in this part of Antarctica," lead researcher Nerilie Abram said. "A new 1,000-year Antarctic Peninsula climate reconstruction shows that summer ice melting has intensified almost ten-fold, and mostly since the mid-20th century. 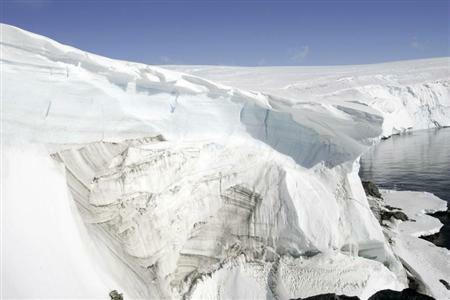 Summer ice melt affects the stability of Antarctic ice shelves and glaciers. The research, published this week in the journal Nature Geoscience, adds new knowledge to the international effort that is required to understand the causes of environmental change in Antarctica and to make more accurate projections about the direct and indirect contribution of Antarctica's ice shelves and glaciers to global sea level rise." "A record flood that inundated large regions of Canada last week is now sending a large pulse of silty water out through the Mackenzie Delta and into the Beaufort Sea. 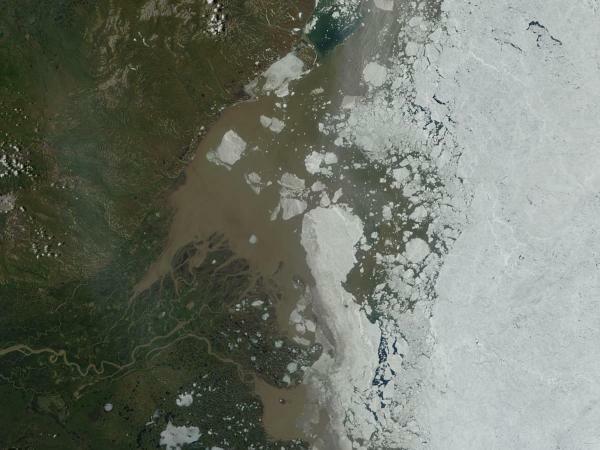 The pulse of floodwater is so large and bears so much silt that it has painted a wide section of the Arctic Ocean near the Mackenzie Delta brown." Loss of Arctic sea ice is reducing the temperature gradient between the poles and the equator, thus causing the jet stream to slow and meander. One result is the creation of weather blocks such as the recent very high temperatures in Alaska. As a result, boreal peat dries and catches fire like a coal seam. 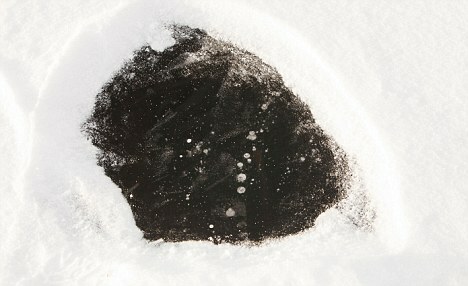 The resulting soot enters the atmosphere to fall again, coating the ice surface elsewhere, thus reducing albedo and hastening the melting of ice. 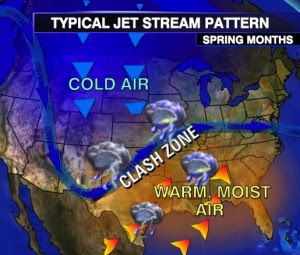 Unprecedented Jet Stream Wave Sparks 120+ Degree Temps in the US Southwest and Tundra Fires in Extreme Northern Canada. 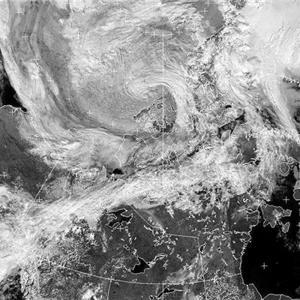 Scientists' eyes have been glued to the Arctic this past week, as a summer cyclone has been tearing through the sea ice at the north pole. Ice melting at the North Pole during the summer months isn't exactly a rare occurrence, but what's remarkable is the speed and extend of the recent loss, and what this could mean for the trend that scientists have been seeing in the past decade. As nearly as I can distinguish, only the latter feedback process is reversible at a temporal scale relevant to our species. Once you pull the tab on the can of beer, there’s no keeping the carbon dioxide from bubbling up and out. These feedbacks are not additive, they are multiplicative. Now that we’ve entered the era of expensive oil, I can’t imagine we’ll voluntarily terminate the process of drilling for oil and gas in the Arctic (or anywhere else). You could add #16 and it's huge - forests are in decline all over the world. Trees are dying from absorbing air pollution, which destroys their immunity to biotic pathogens - insects, disease and fungus. Without trees and other vegetation to absorb CO2, it's going to build up even faster in the atmosphere. Thanks for that Gail. I'm not sure if that is a positive feedback mechanism or "just" a contributing factor. Trees are dying everywhere. Melting of Greenland's interior ice sheet.